UCLA has established the Pourdavoud Center for the Study of the Iranian World, the first center in the Western Hemisphere that aims to advance the knowledge of ancient Iranian languages, history and religions. The Pourdavoud Center was named for the late Professor Ebrahim Pourdavoud, a pioneering scholar of ancient Persia, and was made possible by a gift from his granddaughter, Dr. Anahita Naficy Lovelace, and her husband, James B. Lovelace. “My grandfather devoted a lifetime to the study of the history, languages, religions and culture of ancient Iran. I am so grateful that Jim and I have the good fortune to be able to honor and extend the impact of his important contributions,” Lovelace said. 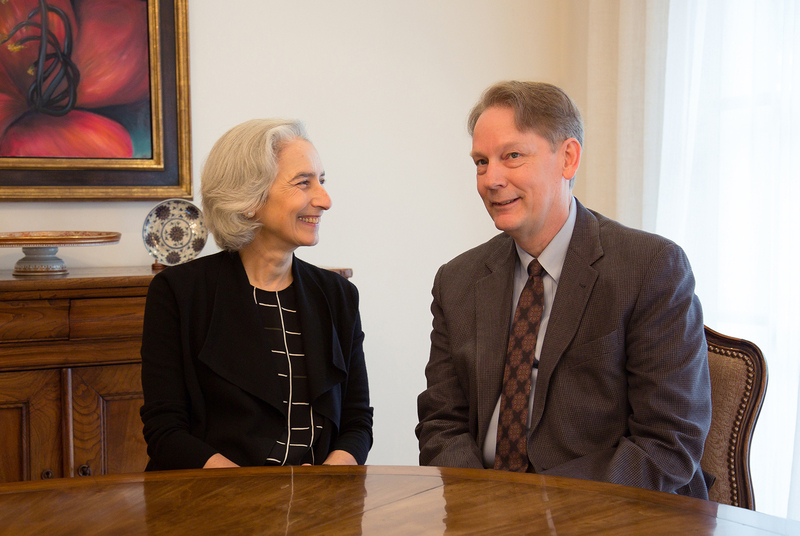 The mission of the Pourdavoud Center is to engage in transformative research on all aspects of Iranian antiquity, including its reception in the medieval and modern periods, by expanding on the traditional domains of Old Iranian studies and promoting cross-cultural and interdisciplinary scholarship. The center will complement UCLA’s well-established doctoral program in Iranian Studies – founded more than half a century ago in 1963 – which attracts 1,000 students from all over campus to its courses each year. Schaberg said he was confident that the Pourdavoud Center would inspire lively intellectual and cross-cultural discussions among students and scholars throughout campus, as well as members of the Los Angeles community. “UCLA’s location in the principal metropolitan center for the Iranian-American community is ideal for the Pourdavoud Center,” he said. The Pourdavoud Center will host lectures, seminars, workshops and conferences. It will also provide grants to established and emerging visiting scholars to generate and disseminate innovative scholarship on ancient Iran. The center will draw on a wealth of campus resources including: the departments of Near Eastern Languages and Cultures, Classics, History, Art History, and Asian Languages and Cultures; the Indo-European Studies program; the Cotsen Institute for Archaeology; the Asia Institute; the Center for Medieval and Renaissance Studies; and the UCLA Alan D. Leve Center for Jewish Studies. Moreover, extensive collections of medieval Persian manuscripts and late antique Iranian inscriptions will be available to scholars working at the Pourdavoud Center. UCLA’s Iranian Studies program, led by Professor M. Rahim Shayegan, is home to the largest and most comprehensive doctoral program of its kind in the Americas and is the only one to cover the entire spectrum of Iranian Studies across disciplines, linguistic boundaries and periods. Its distinctive strengths are Old and Middle Iranian philology, ancient Iranian history and religions, archaeology, and the study of classical Persian literature. Shayegan, who will guide the Pourdavoud Center as it launches its inaugural year, said that the center would launch in the spring with a two-day international workshop focused on strategies to strengthen the field of ancient Iranian studies and to bolster institutional links among other centers of excellence. 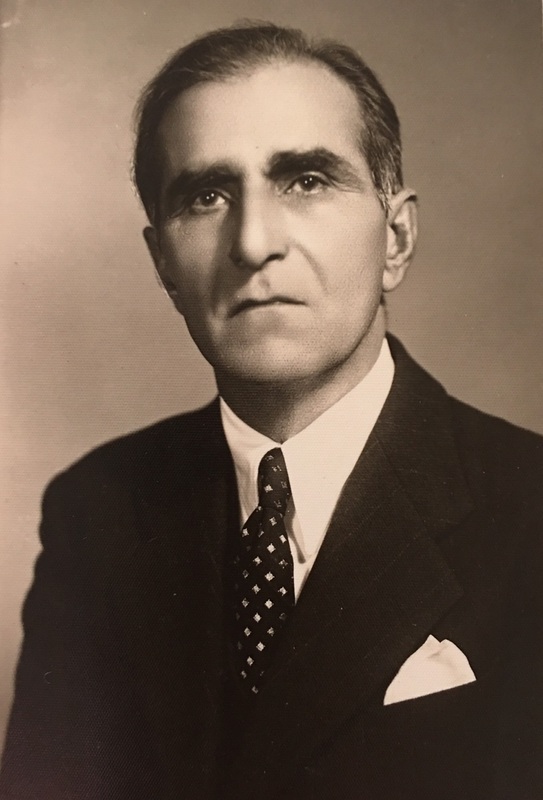 Ebrahim Pourdavoud (1885-1968) was a dedicated scholar who pioneered the first Persian translation of the Avesta, the holy book of the ancient Zoroastrian religion. Over a span of 67 years, he conducted extensive research on ancient history and ancient Iranian languages, and trained many scholars and Iranists. According to Shayegan, Pourdavoud profoundly affected Iranian society by resurrecting and identifying ancient Persia as a positive force for societal progress in contemporary Iran. Lovelace, who spent the first 18 years of her life in Tehran, has fond memories of childhood visits to her grandparents’ home. “I am grateful to my grandfather and my parents for giving me such wonderful early exposure to the ethos of ancient Iran. I have found this immeasurably helpful both in my personal as well as my professional life,” she said. As for the gift to UCLA, Lovelace said that she was impressed by the caliber of the program of Iranian Studies and faculty, and that she anticipated the field would thrive in such a vibrant setting. “With new tools for discovery and expanding opportunities for exchange of ideas, it behooves us all to work together to keep our ancient civilizations alive and relevant for future generations,” she said. Lovelace is a clinical psychologist practicing in Los Angeles. She holds a bachelor of arts in psychology from Princeton University and a Ph.D. in clinical psychology from The University of Texas at Austin. A native Californian and graduate of Swarthmore College, James Lovelace is an equity portfolio manager at Capital Group, a global financial services company based in Los Angeles. To learn more, please visit the Pourdavoud Center’s web site.